Every new year is a chance at a fresh start, and this year we are more focused than ever on getting organized! Maybe we’ve watched too much ‘Tidying Up With Marie Kondo’ (thanks Netflix), but we don’t care – we are focused! In particular, this year we want to focus on getting organized at work. We are sure you feel our pain when it comes to stress at work. With so much going on, staying organized doesn’t just help you stay focused, it can help you be better at work. No more missing tasks or forgetting to follow up with someone. An organized workspace is the key to a less stressful, frantic work day- and who doesn’t want that? If you are just as focused as we are on getting organized this year at work, or even if you aren’t, check out these 5 products we found that are helping us towards our goal. They might just motivate you to get organized yourself! If you have a lot of tech items at your desk, it can get frustrating and messy trying to manage all of your cords. Not to mention that you’ve likely only got one outlet with two sockets and that is not enough to do the trick. Keep everything in one place by investing in a charging station like this one! We love that this doesn’t only have 6 outlets, it also has 3 USB chargers! 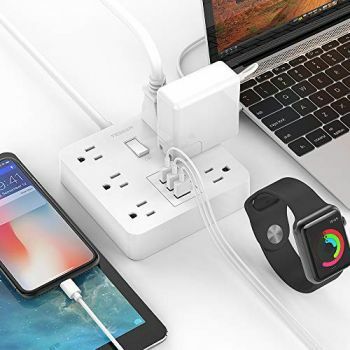 Keep your laptop and corded phone plugged in while also easily keeping your smartphone, camera, and other smaller devices plugged in as well. We promise you, this will make your day go by so much easier and you will be much more organized. No more searching for cables or figuring out how you will plug them in to use them. This keeps everything in one central location- problem solved! 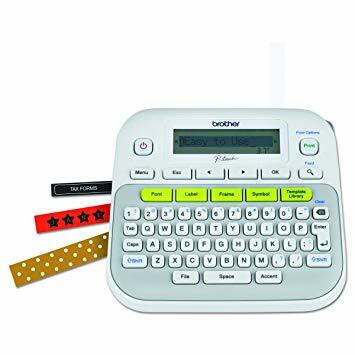 This should be the year that you bond with a label maker. They are so useful and will help you keep all of your work documents and items organized. And as a fun bonus, we happen to think that using the label maker is sort of fun. But maybe that is just us! In any case, this is a great item to invest in so that you can get all of your info sorted and properly labeled. How much time do you waste searching for the perfect file with the info that you need? With a label maker you can label each drawer in your filing cabinet, and each file inside your filing cabinet. Not to mention everything else on your desk! 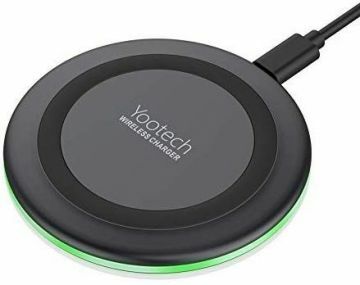 If you are looking to go cordless in 2019 in an effort to be extra organized and clean, invest in a wireless charger! While yes the charger itself will need to be plugged in, we love that we can set it up in a convenient location and place our phone on it whenever we need a charge. It doesn’t just help with organization, but with speed as well! Instead of trying to dig your cord out and have it getting in the way of your work, you can simply place the phone on the charger and keep going- cord free, hands free, worry free! One of the biggest things that can cause a messy, unorganized desk at work is the enormous amount of papers all over the place. Sometimes, the files are necessary and need to be filed away (which you can now easily do thanks to your label maker!) 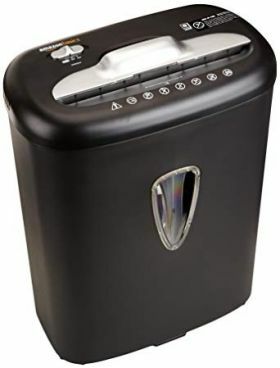 but if you no longer need them, having a paper shredder right there is the best way to ensure it happens right away so that your desk stays organized. We recommend taking some time (even just 5 minutes) at the end of each day to clear off your desk. Placing pens back in a desk organizer, throwing any trash away, filing papers away that need to be kept, and shredding those that don’t. 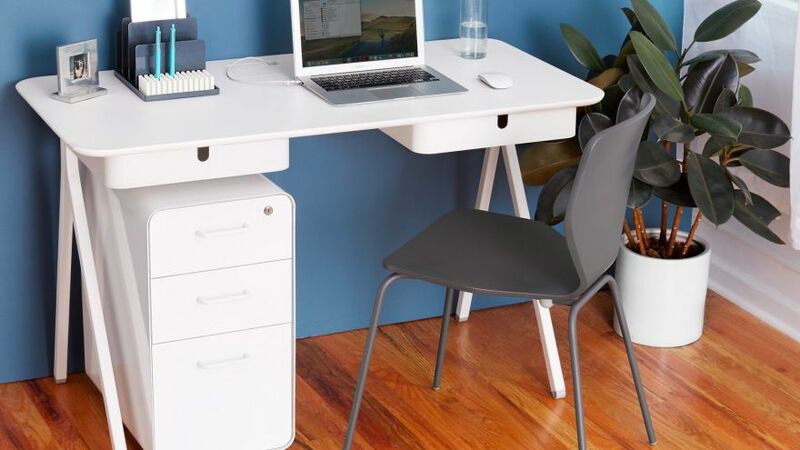 By getting in this system you can be sure to start your day off with a clean desk- a sure way to make the day start better, and hopefully stay better all day long! Finally, because everything can’t rely on the power of wireless charging, we love getting these silicone desktop organizers in order to hold all of the cords that we still do need to rely on! With the charging station (mentioned earlier) you can make sure everything you need stays plugged in. Take it one step further with these organizers so that you don’t have to search around on the ground finding the right cord when you need it. Keep each cord in a designated spot so that it is easy to access when you need it. Plus, no more cords getting tangled! We don’t know about you, but there are few things more frustrating than having to waste time untangling cords. These organizers, as the name suggest, keep all your cords organized and easy to access. Just what you need! It is 2019 and we are on a mission to stay organized at work. With the help of these genius tech products we are already doing so much better than before! From labeling our files, to keeping all of our cords plugged in and detangled, to shredding the unnecessary papers in our lives, we are staying on top of all things organization. You can easily do the same by investing in these products that will simply make your life better. There is no way to remove all of the stress at work, but you can remove some thanks to these products! How are you trying to stay organized at work this year? We love hearing any and all tips! Let us know!